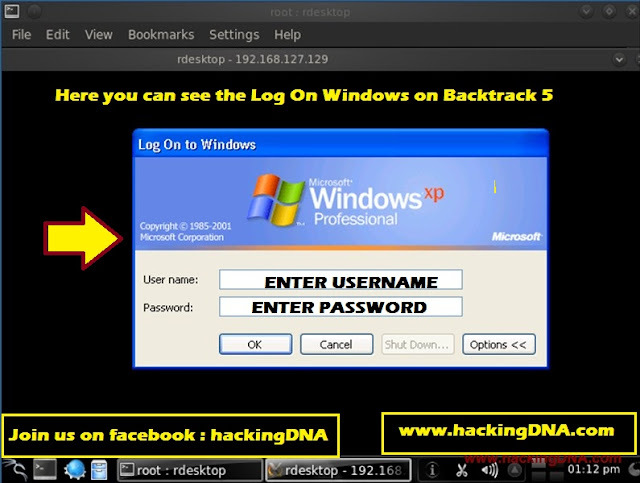 In Backtrack 5 "rdesktop" is the tool through which you can take any system on remote . apt-get install command to install it. I 'll show you how I can take windows xp on remote through Backtrack 5 tool called "rdesktop". 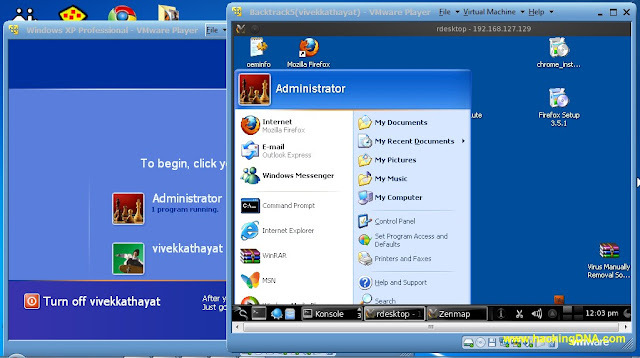 Lets start..
Open your terminal and type this syntax : rdesktop <remote ip>. 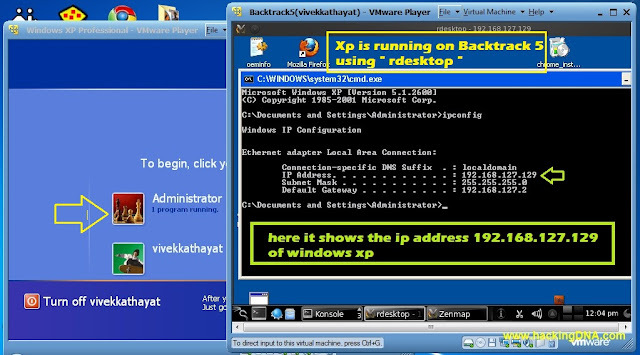 Here 192.168.127.129 is the windows xp ip address. REMEMBER : WHEN YOU PRESS OK YOUR REMOTE SYSTEM GETS LOGOFF AS SHOWN IN THE NEXT IMAGE . 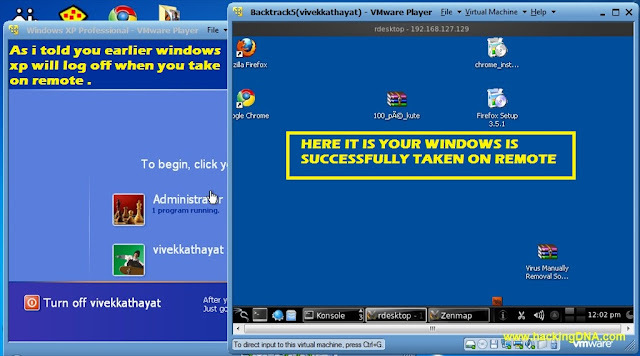 HERE YOU CAN SUCCESSFULLY TAKEN WINDOWS XP ON REMOTE . NOW YOU CAN DO ANYTHING . THIS TYPE OF UTILITY WILL HELP YOU WHEN YOU WANT TO COPY SOME DATA IN CASE WHEN YOU DONT WANT TO USE PENDRIVE . This is how we can take system on remote . Now do it yourself and if you find problem .